STYLISH DESIGN – What good are any socks if they don’t exude style and a trendy personal statement? 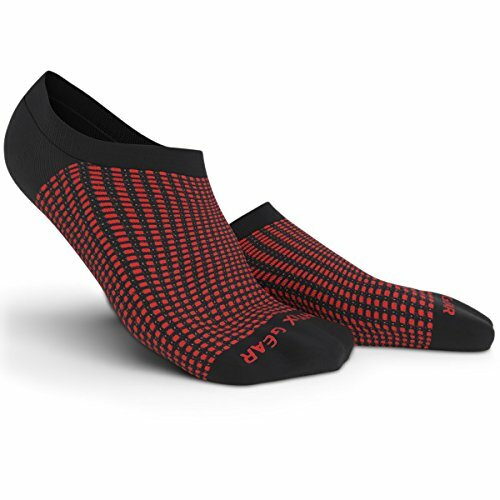 The Physix Gear Sport No Show Low Cut Socks are not only extremely practical with sweat absorbent, antibacterial and anti odour functionality, but they are also just as stylishly good looking to wear. Put them on for a business meeting, that much awaited dinner party or simply for a stroll in the park in flats. 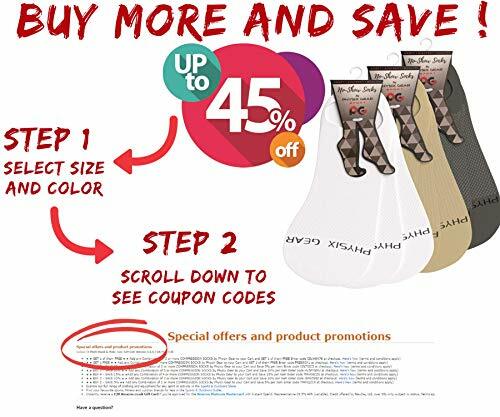 You’ll look good while your feet feel great! It’s a win win situation for everyone! ALL WEATHER, ALL PURPOSE – Intricate construction and strong attention to detail ensures absolute comfort – no matter what time of the year. Smart Stitching ensures ultimate functionality, soothing sensation at the bottom and sides of foot and prolific ankle arch support. These Invisible Socks are built to let your feet breathe in peace. 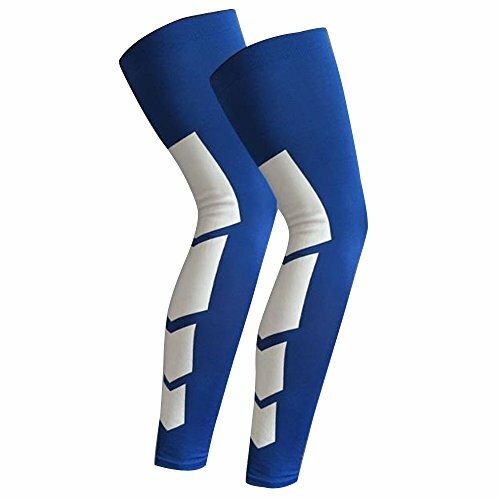 Ideal for girls flats, hot/cold weather, crossfit, and running shoes. Treat your feet during long races and runs! 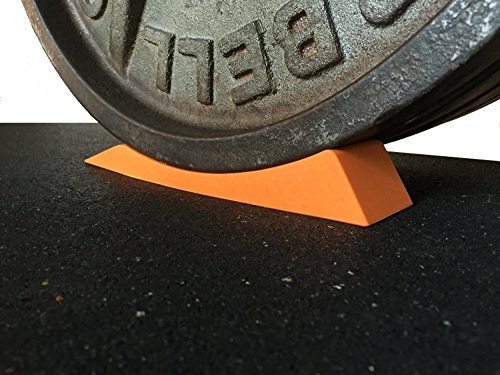 WHY GET OUR SUPERIOR NO SHOW SOCKS? Socks are meant to ‘compliment’ your feet, afterall your feet enable you to walk and conduct daily functions. No? 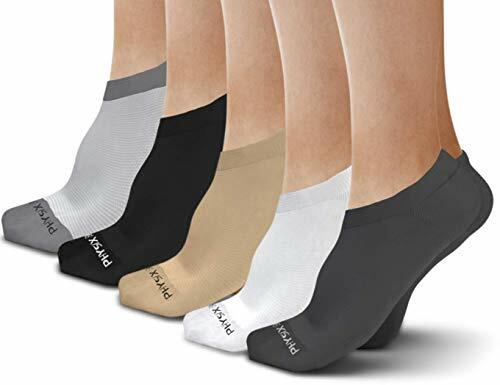 Without comfortable, durable and practical socks, feet can never be the same, turning a very normal function of ‘walking’ into a hassle. This is why, ordinary socks are no longer an option! 100% RISK FREE PURCHASE- Physix Gear Sport is a truly remarkable company offering one of the absolute best orthotic and foot products on the market. Buy with utmost confidence. If for any reason you aren’t happy, simply contact us and we’ll replace or refund the product for you. 100% risk free! Zero hassles, zero waits. Your satisfaction is our utmost focus. ‘Add to Cart’ now and join thousands of satisfied customers worldwide! EVERYDAY WELL-BEING! – Sweaty feet cause unpleasant odours, ruining your shoes. 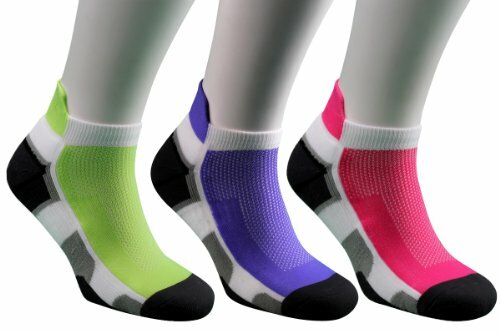 Our Moisture Wicking No Show Socks are built from antibacterial fabric with silver ions that prevent bacterial growth. The Low Cut Socks keep you dry, even in extreme activities.This results in a healthy, moisture-free foot environment, eliminating odour causing bacteria whilst keeping your feet fresh. 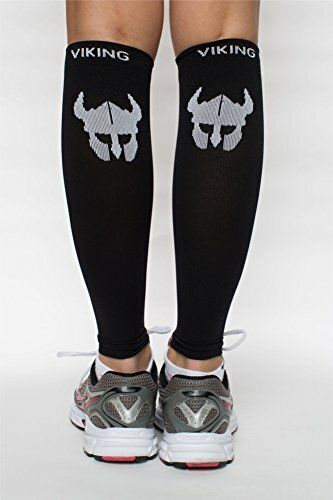 Not just meant for fitness, they can be worn for casual or business purposes – at social or office events, and more!